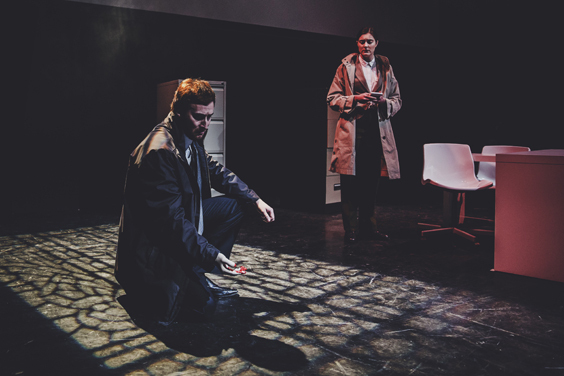 The name David Mark is fast becoming synonymous with crime fiction in Hull – which is perhaps the reason why the first stage adaptation of one of his works sold out at Hull Truck well before its brief run began. The Dark Winter was former journalist Mark’s debut novel, a Richard & Judy Book Club choice and bestseller that introduced DS Aector McAvoy to the world. This gentle giant has so far appeared in seven novels, the latest being the recently published Scorched Earth, and his cases are so beautifully drawn that it can surely only be a matter of time before he appears on TV. But ahead of that, the clever folk at the Ensemble 52 theatre company have produced a heart-stopping and inventive version adapted for the stage by Richard Vergette and Nick Lane. 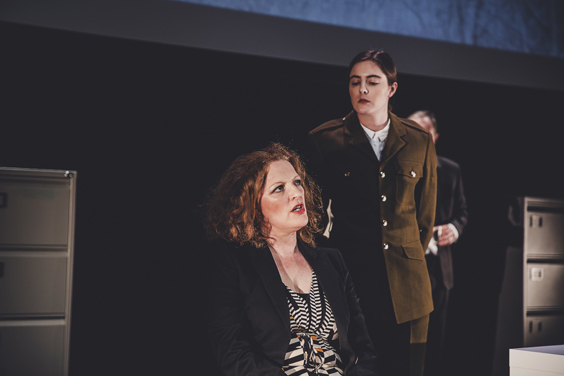 Cutting down a complex tome and making it workable for a live performance is far from easy, but Vergette and Lane have had an ingenious stab at it (pun entirely intended). Rather than follow the hunt for a serial murderer from start to finish, they have several key characters look back at what has happened, recalling McAvoy’s efforts to link several deaths and put an end to the killings, despite obstacles being put in his way by the prejudices of one of his more senior colleagues. As readers of Mark’s work will already be aware, McAvoy is a giant Scotsman, a bear of a man but as gentle as he is imposing. Finding an actor to depict those qualities isn’t easy, and while Peter McMillan lacks the physicality (he looks like a less expensive version of David Tennant), he manages to convey the policeman’s straight-arrow goodness and sensitivity well. The rest of the cast tackle numerous parts, with quick on-stage costume changes helping their characterisations. A large screen projects images that help move the story along, illustrating events that would have been too tricky to stage, while clever lighting and sound effects also help paint a very vivid picture. As this run in Hull Truck’s small Studio space has been oversubscribed, there is talk of a revival in the main auditorium. The production would probably benefit from having a little more breathing space, while a larger budget would help improve the very stark production design. At times, there’s a little too much exposition and not enough action, but as a showcase for the visual nature of Mark’s work – and perhaps as a calling card for TV production companies – it’s second to none.